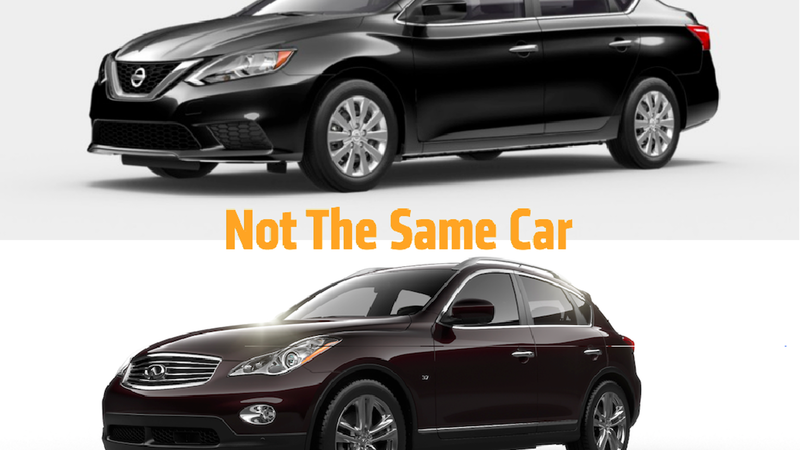 A woman in Cornwall, Ontario accidentally drove away in someone’s Infiniti after mistaking it for her Nissan rental car, the local police posted on Facebook. After two weeks, she returned what she though was her rental car, and complained about how “unkept” it was before realizing her mistake. Here’s how the Canadian woman wound up in such an embarrassing mess.